Mandy was born and raised in St. Louis, Missouri, and her Midwestern roots have followed her ever since. She was diagnosed with left-sided ulcerative colitis in 2013, after having complications since 2009. Mandy studied technical communication at Missouri State University, receiving both a bachelor’s and master’s degree. Afterward, keeping true to the Midwest, she moved up to Chicago, bringing her love for STL-style pizza and baseball along with her. 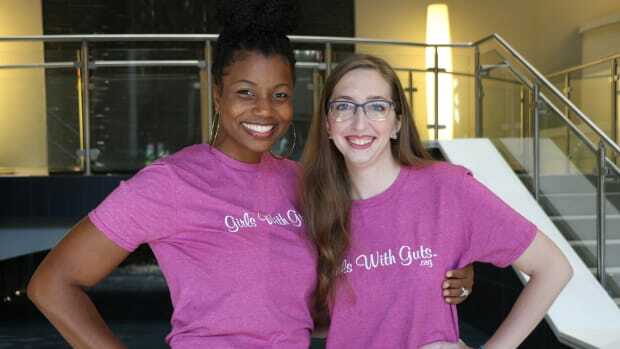 Starting as a blogger for Girls with Guts, Mandy became hooked on the organization, and all the positivity, friendship, and support Girls with Guts has provided. She strives to keep that mission going. Attention, ladies! 'Girls With Guts' has a great way to make new friends through their Pen Pal Program.